Slideshow: Mercedes-AMG has carried out a few changes to the new W10 EQ Power+. This is in adherence to new regulations and in preparation for the 2019 Formula One Season. 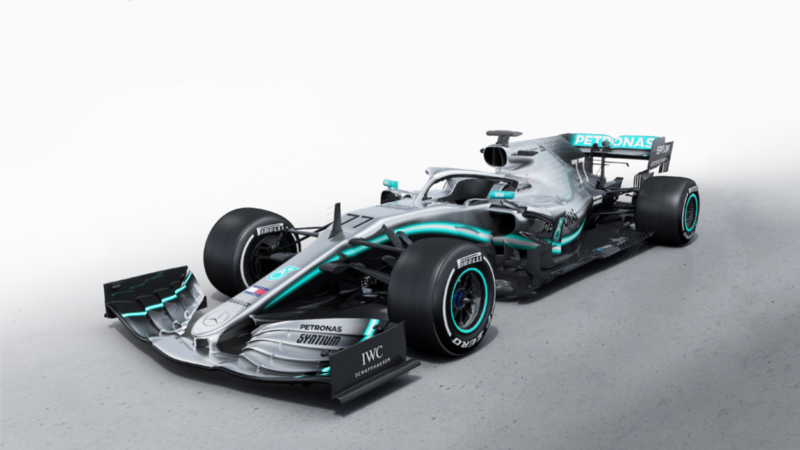 The W10 EQ Power+ Formula One car is one of Mercedes-AMG's best projects yet. 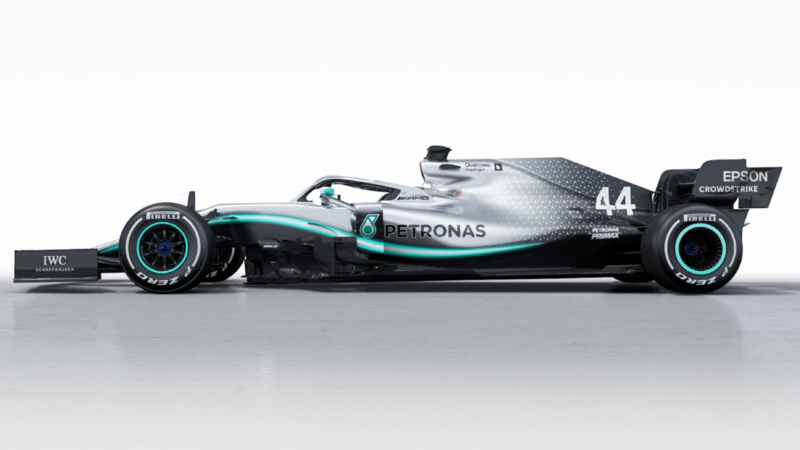 As fans await the 2019 F1 Season to start, the team at AMG joined the rest in showcasing the cars that have been in development for the last two years. This season, 5-time champion Lewis Hamilton and Valtteri Bottas will be driving for Mercedes-AMG once again. 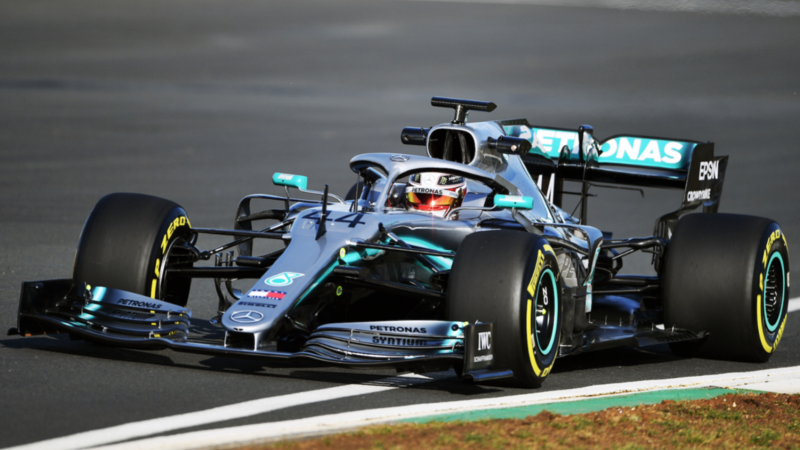 After appearing for the first time at UK's Silverstone circuit, the F1 W10 EQ Power+ is getting proper pre-season testing at the Circuit de Barcelona Catalunya in Spain before the season starts in March. The W10 is very similar to its predecessor, the W09. However, due to new regulations, the new race car comes with new aerodynamic upgrades. According to James Allison, the Technical Director, the car is now much kinder to its tires. 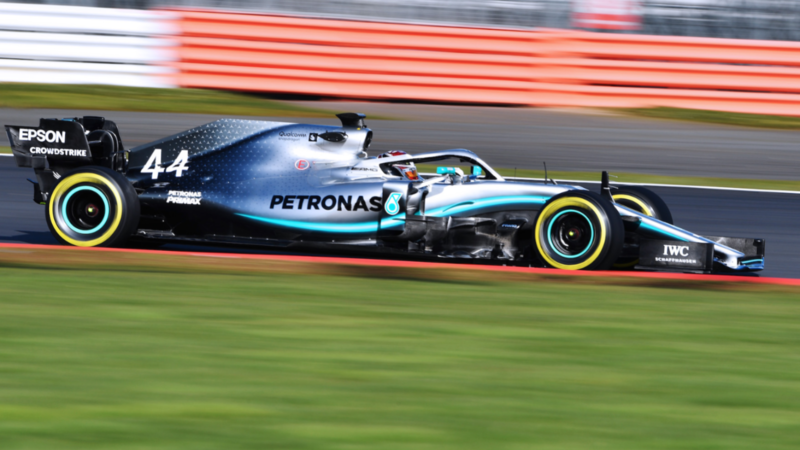 The W09 didn't compare well to its rivals when it came to tire wear in the last season as it wasn't as efficient. The team worked tirelessly to change that. >>Join the conversation about the Mercedes-AMG W10 right here in MBWorld forum. The weight minimum was also raised for this season by 22 pounds. This was to allow teams to add more aerodynamic pieces to their race cars. Much of the W10's F1 power unit remains the same. This year, the team carried out a few changes to improve its thermal efficiency. The engine is a hybrid and turbocharged 1.6-liter V6 that comes with an updated cooling system to help with aero. The guys at Petronas installed unique fluids and created a special fuel to minimize loss as a result of heat. Apart from engine changes, the team also made adjustments to the overall build materials. Items are now tighter and more slender. This is largely to enhance aerodynamics. The suspension was also reviewed to help minimize tire wear. 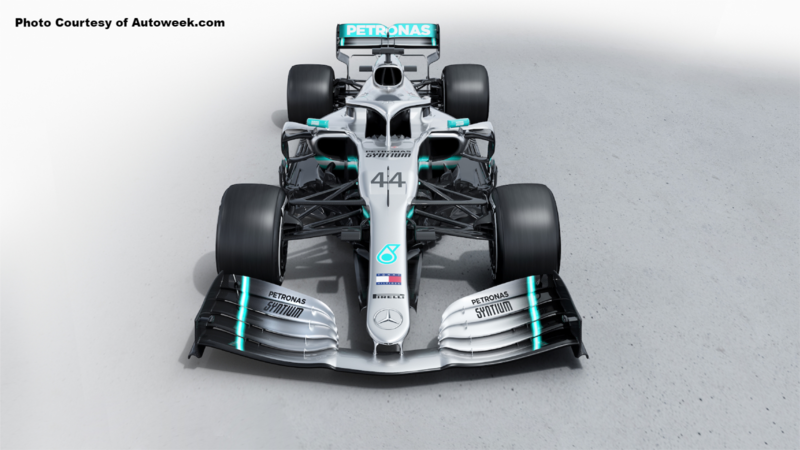 As the new W10 strives to adhere to the new regulations, the team retained the W09's wheelbase. 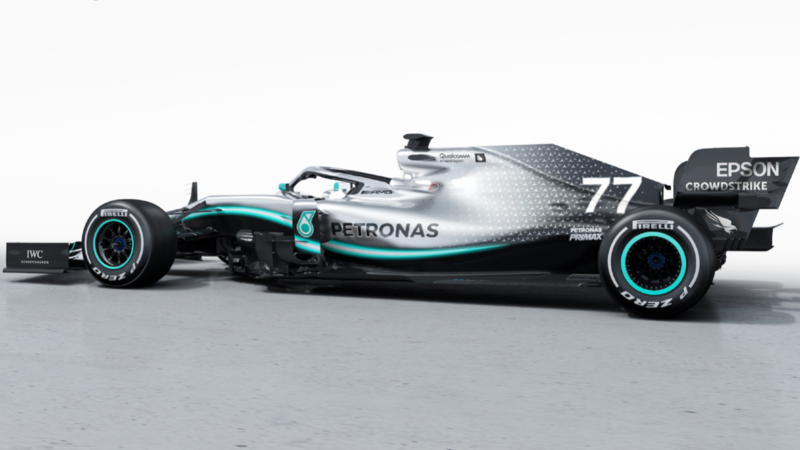 The Silver Arrows carry on their black and silver paint scheme, with the addition of some cool graphic features. In every season, teams are given an equal opportunity to start afresh despite the victories earned in previous championships. There's no credit transfer. Ferrari will be the arch rivals for Mercedes again this year. Other teams on the grid include Toro Rosso (Reb Bull B Team), Renault, Red Bull, Williams, Racing Point, Alfa Romeo-Sauber, McLaren, and Haas. We have to wait till the starting race in Melbourne to see where everyone stands. The Mercedes-AMG team hopes to take the title home for the 6th consecutive time this year. 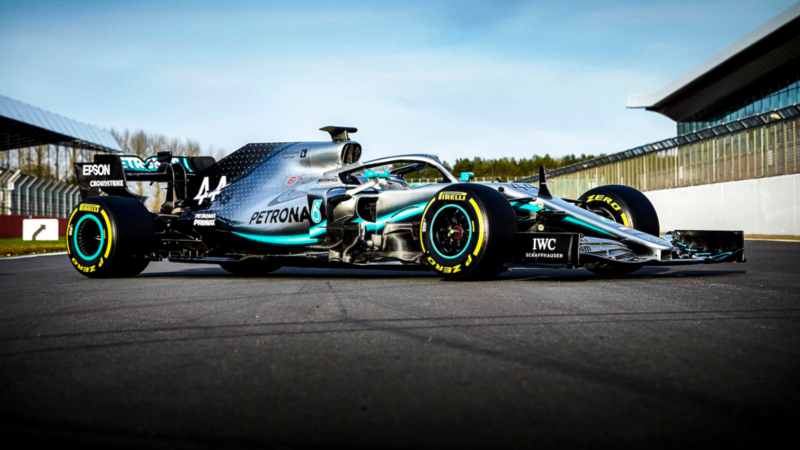 Amidst all the mechanical changes, 2019 marks the first time AMG will be competing in the Formula E segment. 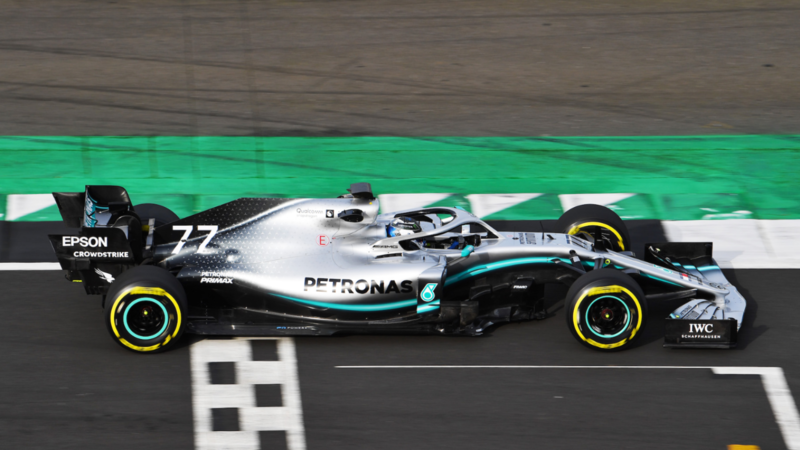 This is Mercedes' tenth season since its return to F1. We wait to see if the automaker will carry on with the winning streak from the past few years.